The global research antibodies market is predicted to be a progressive one over the forecast period. The exceptional physiological properties of antibodies make them sought-after for cell research. Antibodies have the ability to bind to specific molecules, which allows molecules of interest to be isolated for cell research. This is a key factor for continual research to study the anatomy and physiology of antibodies. 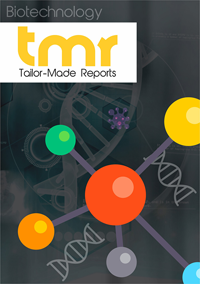 The report serves readers to gauge prevailing trends and future growth opportunities in the global research antibodies market. It comprises the most relevant data pertaining to market dynamics. A detailed analysis of the competitive landscape is a key feature of the report. At present, the number of R&D activities carried out by pharmaceutical and biopharmaceutical companies to introduce novel products is on the rise. These pursuits involve the use of antibodies that exhibit exceptional physiological properties. This, in turn is boosting research on antibodies for their use for secondary cell research. Hefty investments from pharmaceutical giants for advancement of antibodies research is also boosting the research antibodies market. Furthermore, increasing incidence of cancer and other chronic diseases is encouraging research organizations and pharmaceutical and biotechnology companies to develop advanced therapeutics and personalized medicine. The use of antibodies for early detection of cancer is also increasingly recognized. These factors collectively are stimulating the research antibodies market. Besides this, increasing public and private initiatives and adequate funds for stem cell research are aiding the growth of research antibodies market. In a new development, the FDA has approved the clinical use of DNA-encoded monoclonal antibody (DMAb) therapy to prevent Zika virus infection. Unlike conventional therapeutic antibodies manufactured in industrial units, DMAb employed for the therapy is made inside the body. Patients are administered DNA instructions for the body to equip itself with necessary tools, and make its own highly specific antibodies to fight infection. The antibodies produced fight pathogenic targets such as virus-infected cells, bacteria, and cancer cells. DMAb therapy is bringing about a clinical change in antibody therapy. Over the recent past, detailed preclinical studies using DMAb have been conducted, resulting in successful in vivo production of DMAb. The new approach displays extensive potential for major advancement over traditional monoclonal antibody therapy. Further, DMAb therapy could broaden the spectrum of antibody therapeutics, thereby opening new patient markets for antibody-based therapies for disease prevention or treatment. North America holds supremacy among the key regions for research antibodies globally. Presence of a large number of biopharmaceutical and biotechnology companies coupled with immense government support for research are key factors behind the growth of North America research antibodies market. In addition, manufacturers of antibodies need to adhere to stringent guidelines for high quality products. This provides enhance reliability for researchers and clinicians involved in antibodies research and secondary cell research. Asia Pacific is expected to display remarkable growth in the research antibodies market over the forecast period. Increasing R&D and adoption of novel techniques for antibodies production is serving to boost this region. Furthermore, improving healthcare infrastructure and implementation of stringent quality adherence policies by public organizations in emerging economies is spurring growth of Asia Pacific research antibodies market. Some key companies operating in the global research antibodies market are Abcam PLC, Thermo Fisher Scientific Inc., and Agilent Technologies. Top companies in the market are adopting novel growth strategies to sustain the highly competitive environment.